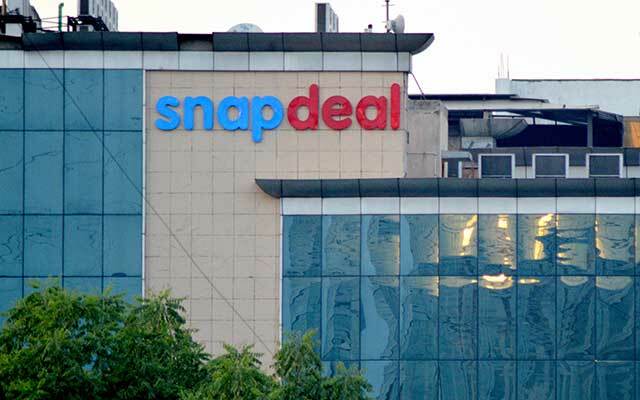 On Wednesday, Snapdeal founders Kunal Bahl and Rohit Bansal said they will not take salaries for an undisclosed period as the company struggles to survive. Well, that makes financial and ethical sense. It’s ethically right because it takes a large heart to admit mistakes and share the pain of employees, many of whom are losing their jobs. It’s financially right because they were among the highest-paid executives in India’s consumer Internet sector and because staff costs make up a big chunk of Snapdeal’s expenses. “We believe that every resource of the company should be deployed for driving us towards profitable growth,”Bahl said in an internal email while announcing the layoffs. Bahl and Bansal drew Rs 46.5 crore each in total compensation for the year through March 2015, becoming the highest-paid executives among Indian unicorns for the period. To be fair, though, this mostly included stock options. For 2015-16, Bahl and Bansal drew total compensation of about Rs 40 crore each, including stock sales, according to a Mint report. The layoffs at Snapdeal are intended to cut these staff costs. But how will job cuts help? According to the standalone financials of Jasper Infotech Pvt. Ltd, which runs Snapdeal, the company’s total employee expenses for the year through March 2016 more than doubled to Rs 911 crore from Rs 367 crore the year before. The salary bill, wages and bonus expenses tripled to Rs 673.4 crore. According to a Business Standard report, Snapdeal had 4,000 before the layoffs began. VCCircle estimates suggest that the staff strength could fall to about 1,000 after the layoffs are completed. This means salary-related expenses could fall as much as 75% in 2017-18 to around Rs 225 crore, according to back-of-the-envelope calculations considering other factors remain the same. A Snapdeal spokesperson declined to comment on the matter. For Snapdeal, employee costs were a bigger drag than advertising expenses and almost as high as business promotion expenses, which are usually seen as a big villain in the e-commerce sector. The company’s consolidated staff expenses, including those of subsidiaries such as FreeCharge, surged three times to Rs 1,010 crore in 2015-16, according to its regulatory filings. Advertising expenses rose to Rs 560.5 crore from Rs 426.3 crore while business promotion costs jumped to Rs 1,111 crore from Rs 696 crore. Total consolidated costs more than doubled to Rs 4,800 crore. The provision for bad debts soared to Rs 303.9 crore from Rs 9.6 crore. Snapdeal-owned digital payments firm FreeCharge clocked losses of Rs 270 crore and logistics firm Vulcan Express posted a loss of Rs 20 crore. Gojavas, where Snapdeal owns a 49.9% stake, recorded a loss of Rs 70 crore while Snapdeal’s TV shopping joint venture with DEN Networks lost Rs 45 crore. Higher costs and provisions widened the consolidated net loss by more than twice to Rs 3,293 crore from Rs 1,325 crore, the filings show. Total operating revenue rose 58% to Rs 1,214 crore. But Snapdeal is not the only e-commerce company bleeding money. Rivals Flipkart and Amazon.com Inc’s India subsidiary also saw their losses double in the last financial year. The net loss of Flipkart Internet Pvt. Ltd doubled to Rs 2,306 crore in the financial year ended 31 March 2016 compared with Rs 1,096 crore the year before. However, Flipkart’s loss is not directly comparable as it has several subsidiaries. Flipkart Pvt. Ltd, the Singapore-based holding company, reported a net loss of Rs 5,768.8 crore for 205-16, tech news website Factor Daily reported, citing the e-tailer’s annual report filed with Singapore authorities. Amazon India’s loss for 2015-16 soared to Rs 3,572 crore from Rs 1,724 crore the previous year, the Mint newspaper reported in December.